Tech genius and hacker also known as Microchip, David Lieberman is the mastermind behind the Punisher's weaponry and gadgets. 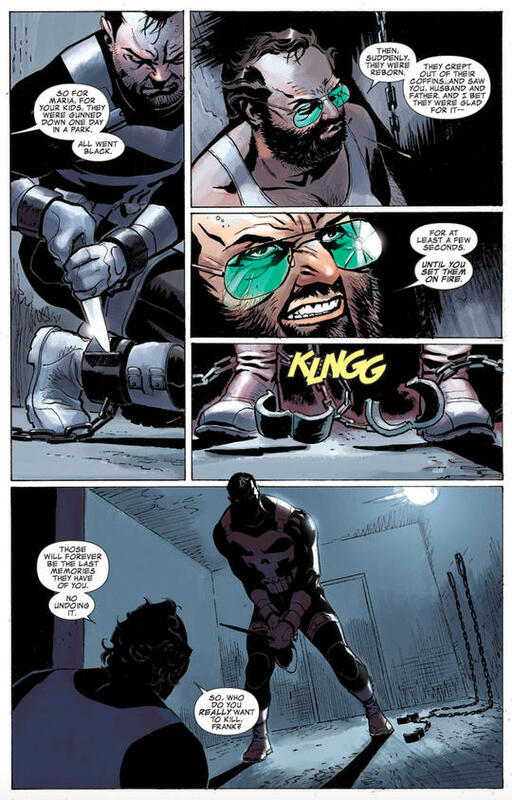 Working under the name Microchip, computer hacker extraordinaire David Linus Lieberman uses his expertise in electronics and weaponry to assist the killer vigilante Frank Castle, also known as the Punisher, in his relentless war on crime. Born in Brooklyn, New York, David Linus Lieberman displayed a unique talent for computer technology at an early age. He was awarded a college scholarship to pursue this interest. There, he unwittingly helped his roommate change his grades, and when a professor discovered Lieberman’s handiwork, he compelled him to use his hacking abilities steal money from the mob-affiliated Tri-State Bank. Lieberman had little choice—his roommate had stolen all his possessions, and his girlfriend, Jan O’Reilly, announced that she was pregnant. He stole the money, but the bank figured out that he was the culprit and sent operatives to kill him. Lieberman barely managed to escape and was forced to go into hiding and change his name. Jan then ended her relationship with him out of fear for her life and the life of their unborn child. Lieberman became known as Microchip, and over the next two decades, he became a legend within the computer hacker community. His growing prominence eventually brought him to the attention of the Punisher, who recruited him into a new life as the vigilante’s personal computer expert and weapons technician. Microchip—Micro for short—is an expert in computer science and has displayed a distinct talent for programming and intelligence gathering. He is skilled at building and acquiring various forms of weaponry. He also has considerable experience using firearms. Micro has highly advanced computer equipment at his disposal, and a wide assortment of high-tech weapons. He designs the Punisher’s Battle Van and helps create his Exo-Armor battlesuit. As the Punisher’s longtime associate, Microchip helps Frank Castle take on some of the most vicious, ruthless, dangerous criminals in the world—and sometimes, he pays a steep price for it. Wilson Fisk, the criminal overlord known as the Kingpin, once has Micro captured to force the Punisher into eliminating one of Fisk’s rivals. As further incentive, Fisk’s underlings cut off one of Micro’s fingers and send it to Castle. Microchip also helps the Punisher take on the likes of Doctor Doom and Bushwacker. They take on a multitude of criminals, including common thugs, gangsters, and crime lords, as well as super humans, like the cybernetically enhanced crime gang known as the Reavers. Microchip has worked with the Punisher for years, both at the computer keyboard and occasionally out in the field. But eventually, the stress of their work begins to affect Micro psychologically. He goes to a therapist, which causes a major rift between him and Castle, from which they have never fully recovered. For a time, Micro’s son, Louis Frohike, who grows up to be a skilled hacker himself, assists his father and the Punisher. But Louis is killed while helping the Punisher investigate the insider-trading Billionaire Boys’ Club and the Skid Row Slasher. Microchip’s cousin Elliot once owns an auto salvage business in Queens, New York. Secretly, however, he is proficient in acquiring and selling rare firearms and equipment and provides Micro and the Punisher with much of the material used to create the Exo-Armor battlesuit. Elliot is killed during a confrontation between the Punisher and the Reavers. The Punisher and Microchip parted ways for a time after Castle learned that Micro was in therapy. Eventually, the Punisher became even more obsessed with his mission to eradicate criminals, and Micro feared for Castle’s sanity. Micro then posed as a drug dealer named Cringe and lured Castle into a trap in an attempt to help restore Castle’s humanity. At the same time, he had been training a young man, former Navy SEAL named Carlos Cruz, to replace Castle as the Punisher. After the Punisher escaped from Micro’s prison and hunted down his former partner, the two had a face-to-face confrontation, forcing Microchip to surrender. Castle considered killing him, but former S.H.I.E.L.D. agent-turned-assassin Stone Cold fired a rocket into Micro’s base, and Micro died in the blast. 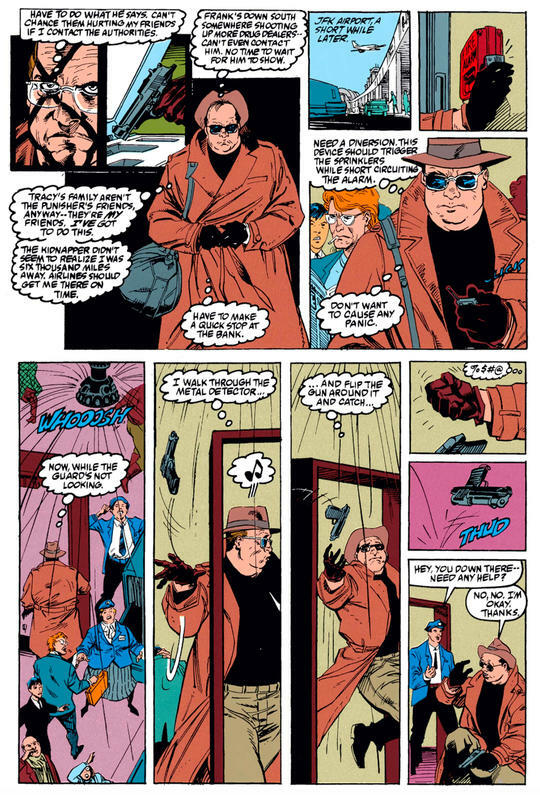 Sometime later, the criminal mastermind Parker Robbins, also known as the Hood, resurrected Micro and used him in his fight against the Punisher. In return, the Hood promised that he would bring back Micro’s son, Louis, from the dead. In a confrontation with the Punisher, the Hood then offered to resurrect Castle’s wife and children in exchange for his allegiance. All the Punisher had to do to revive his family and Micro’s son was sacrifice his friend, the former S.H.I.E.L.D. agent G.W. Bridge, whom the Hood had taken prisoner. During the resurrection ceremony, Castle refused to cooperate, causing Micro to kill Bridge. The ceremony apparently worked, but Castle destroyed all the bodies as they rose from their coffins. In the aftermath, the Punisher went on a relentless hunt for Micro, intent on making him pay for Bridge’s death. Unbeknownst to Castle, Micro was captured by the criminal known as Jigsaw. Soon after, the Punisher also ended up as Jigsaw’s prisoner, and was reunited with Micro inside a cell. Castle managed to free himself of his chains and get his hands on a knife, which he then used to kill Micro in an act of vengeance.